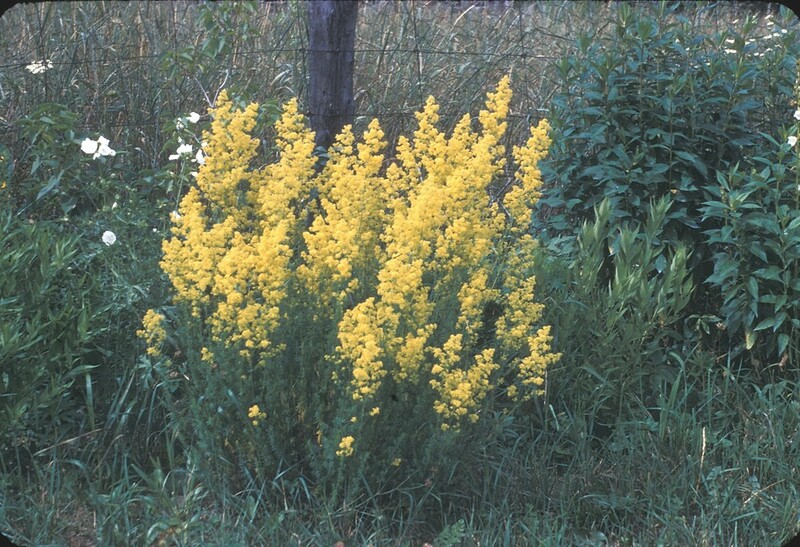 Yellow bedstraw was introduced to North America from Europe, where it has traditional uses such as to curdle milk for cheesemaking and to color the resulting cheese. 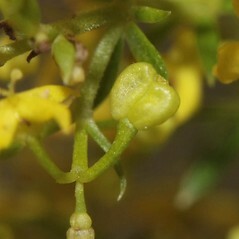 corollas white, cupuliform, 4–6 mm in diameter, and schizocarps 1.5–2 mm wide (vs. G. verum, with corollas yellow, rotate, 2–3.5 mm in diameter, and schizocarps 1–1.5 mm wide). 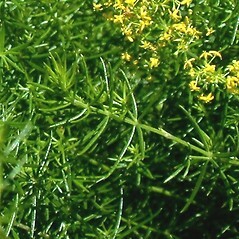 Galium verum L. ssp. verum is known from CT, MA, ME, NH, RI, VT.G. verum ssp. 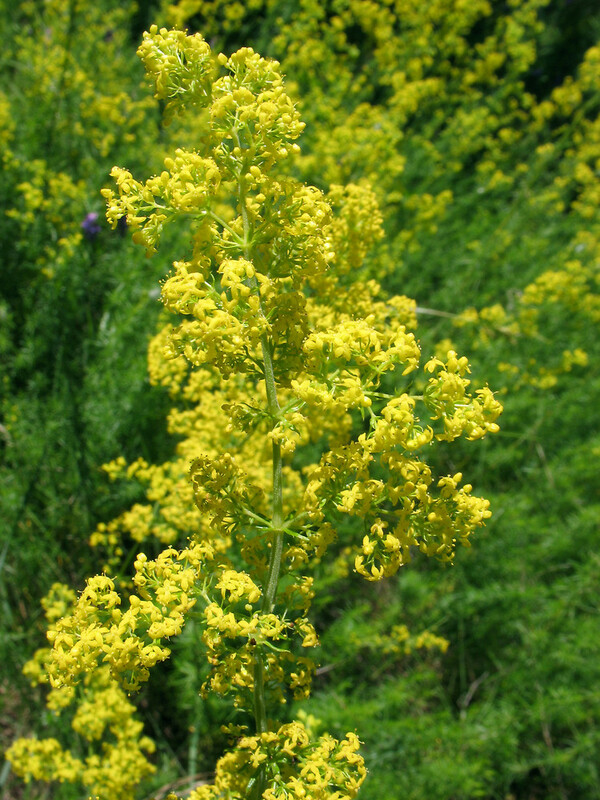 wirtgenii (F.W. 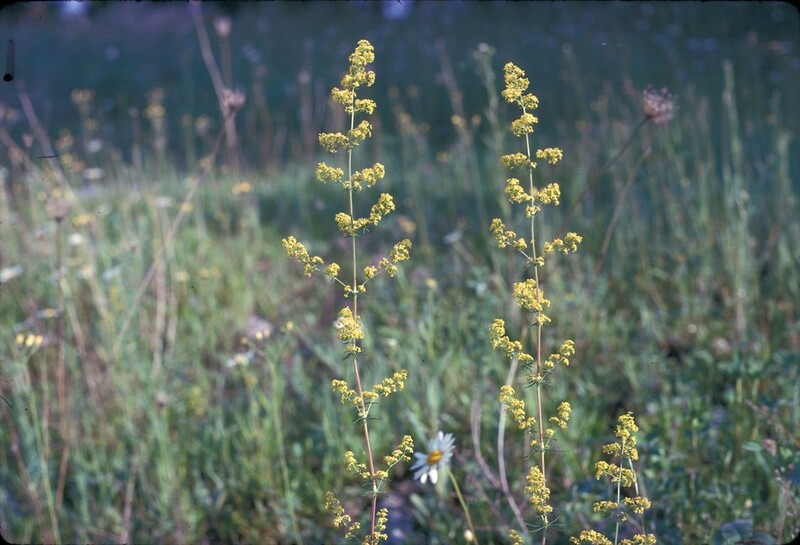 Schultz) Oborny is known from CT, MA, ME, VT.
yellow bedstraw. 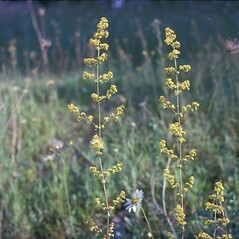 22b. 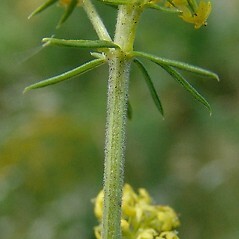 Galium wirtgenii F.W. Schultz • CT, MA, ME, NH, RI, VT. Fields, roadsides, waste areas. 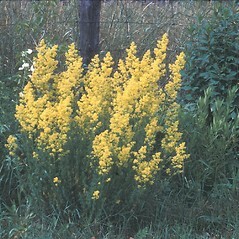 Subspecies verum is known from CT, MA, ME, NH, RI, VT. Subspecies wirtgenii is known from CT, MA, ME, VT.
12×22. 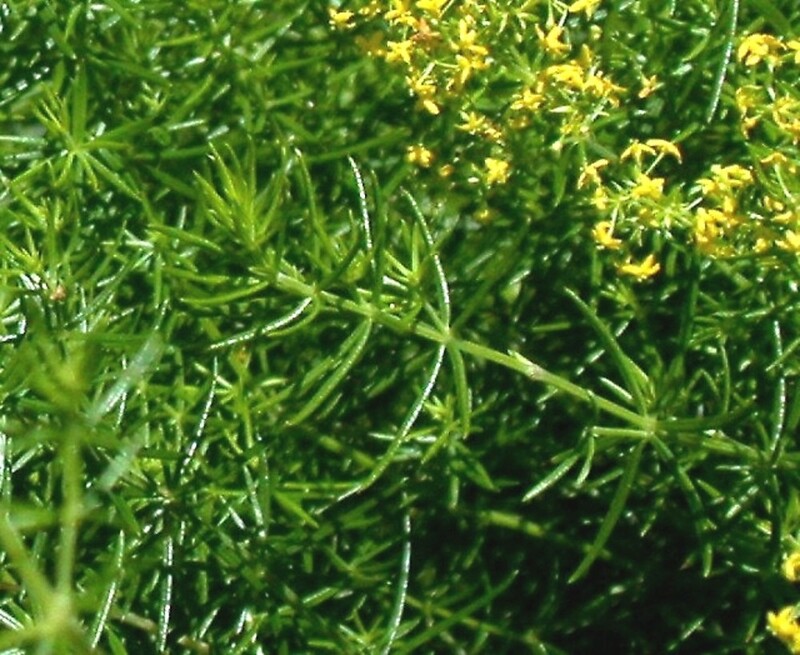 Galium mollugo × Galium verum → This very rare bedstraw hybrid is known from MA. 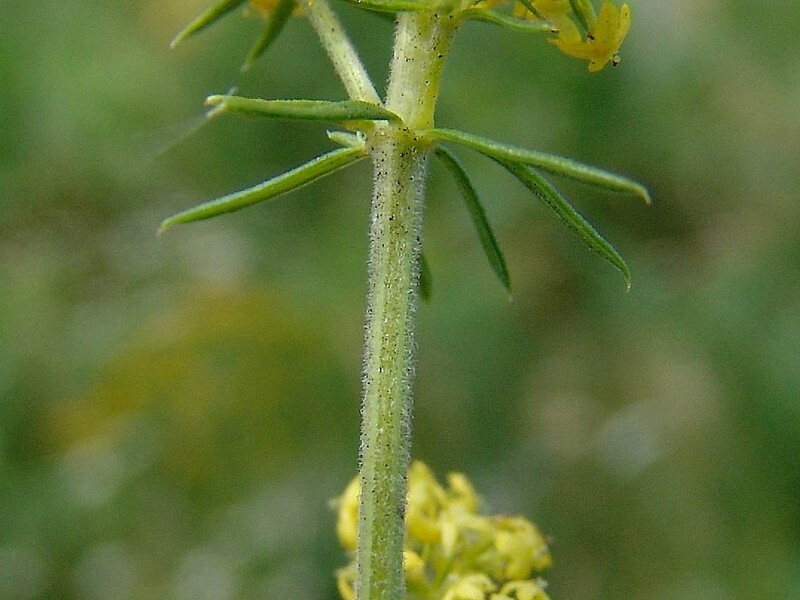 It most closely resembles Galium verum but can be recognized by its quandrangular stems (at least below; rather than terete with 4 raised lines), linear to narrow-lanceolate leaf blades with some usually wider than 1.5 mm that usually do not darken in drying (rather than linear, usually narrower than 1.5 mm, and usually darkening in drying), and a bright yellow to yellow-white corolla with somewhat apiculate lobes (rather than yellow and merely acute at the apex of the lobes). 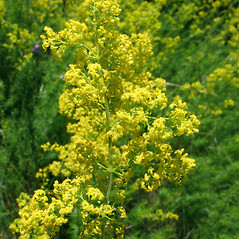 It is very similar to G. ×‌pomeranicum Retz. ( G. album ×G. 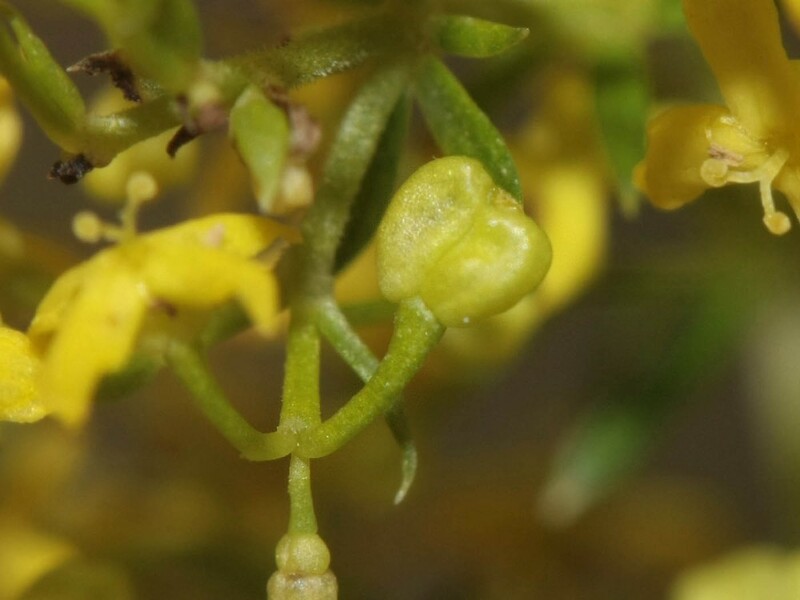 verum; a nothospecies not yet documented from New England) except that the corollas are usually narrower than 3 mm (rather than usually wider than 3 mm). 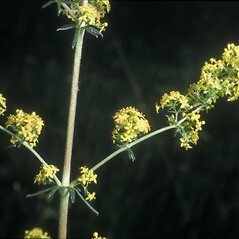 This hybrid is responsible for reports of G. ×‌pomeranicum in New England (e.g., Seymour 1982, Sorrie and Somers 1999). 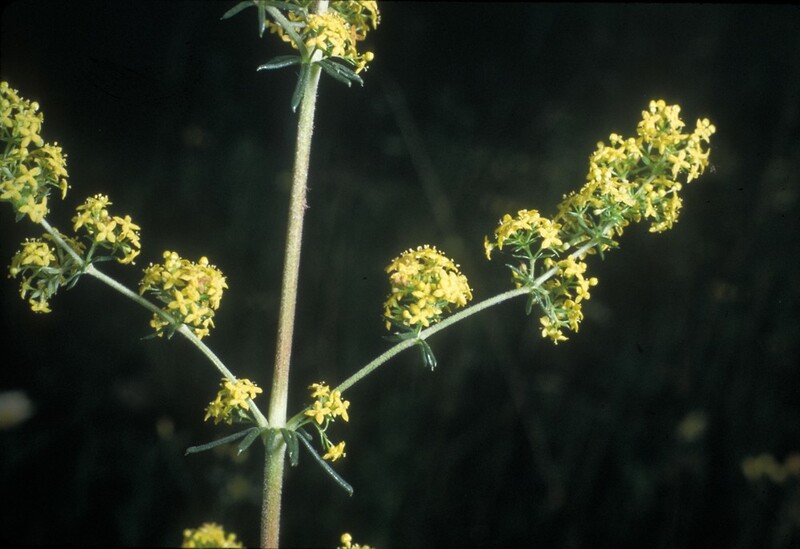 It may also be responsible for reports of that nothospecies from CT, but specimens were not available for study.